Description: I found this on ebay. 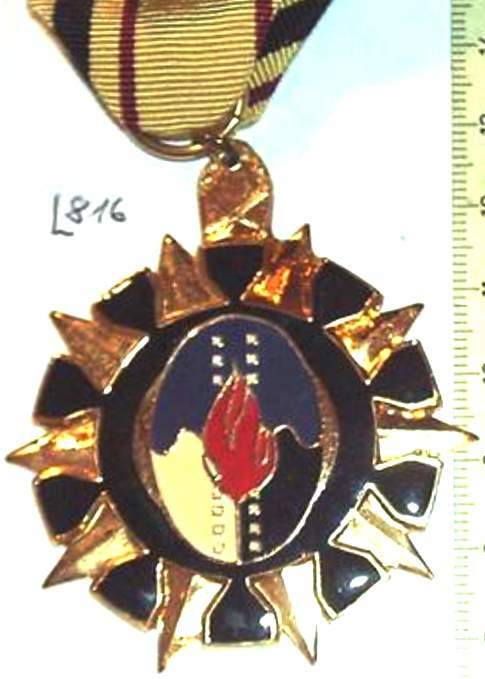 it says it is a south african police merit award, but the design on the medal leds me to think it might have something to do with either blood donor, wound medal or nok award with the blood drop design or maybe a firemans badge with the design being flames. anybody got some ideas.